Starting Oct. 1, the U.S. 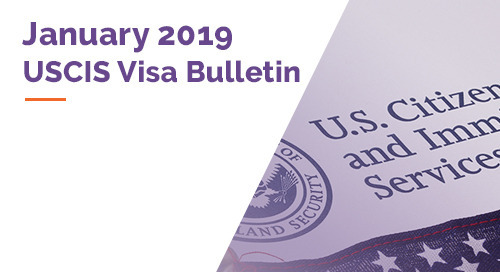 Citizenship and Immigration Services (USCIS) will start implementing its Updated Guidance for the Referral of Cases and Issuances of Notices to Appear (NTAs) in Cases Involving Inadmissible and Deportable Aliens Policy Memorandum. To read our previous entry on this subject, please click this link. USCIS states it will take an incremental approach to implement this new memo, which expands the range of cases of which USCIS may issue NTAs. Furthermore, the 2011 memo on this topic will remain in effect. This approach applies to all denials issued on or after Oct. 1, regardless of when the case was filed. Additionally, employment-based petitions and humanitarian petitions are not affected yet but expected to be included under this policy in the future. Once an NTA is filed, USCIS cannot cancel it. But if a foreign national has departed, USCIS can coordinate with Immigration and Customs Enforcement (ICE) to see if the removal proceeding can be terminated. Denial letters will state that benefit seekers are provided notice of denial and explain that if they are no longer in a period of authorized stay, USCIS may issue an NTA. USCIS will generally not issue NTAs immediately upon the denial unless required by statue or regulation, and it will allow a period for appeal – typically 30 or 33 days to elapse first. But USCIS reserves the right to issue an NTA at any time, depending on the facts of a case. If an appeal is filed within that time frame, USCIS will generally not issue an NTA until the review of the appeal or motion is completed, but USICS reserves the right to issue an NTA at any time if the facts of the case warrant it. USCIS also stated that a denial notice will contain language that an NTA notice may be issued if foreign nationals are no longer in a period of authorized stay and they fail to depart within a specific period. 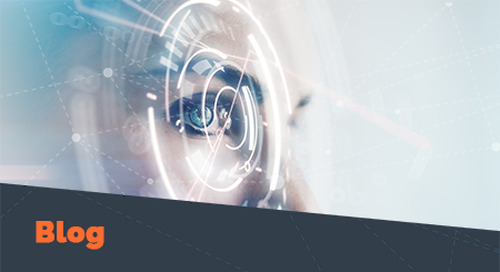 Envoy is pleased to provide you this information, which was prepared in collaboration with attorneys Sara Herbek and Ian Love at Global Immigration Associates, P.C. (www.giafirm.com), Envoy’s affiliated law firm. Learn more about corporate immigration challenges. Download and read our free eBook: 10 solutions to Corporate Immigration Challenges. The U.S. 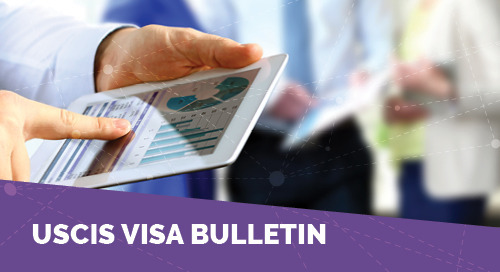 Citizenship and Immigration Services (USCIS) recently released its November 2018 Visa Bulletin.